Mark Katz (Ruel W. Tyson, Jr. Distinguished Professor of Humanities) holds degrees from the College of William and Mary (B.A. in philosophy) and the University of Michigan (M.A., Ph.D. in musicology). Before joining the faculty at UNC, he taught at the Peabody Conservatory of Johns Hopkins University (1999–2006). His scholarship focuses on music and technology, contemporary popular music, musical diplomacy, and the violin. He has written three books, Capturing Sound: How Technology has Changed Music (2004, rev. ed. 2010), The Violin: A Research and Information Guide (2006), and Groove Music: The Art and Culture of the Hip-Hop DJ (2012). He co-edited (with Timothy Taylor and Tony Grajeda) the collection Music, Sound, and Technology in America (2012). He is former editor of Journal of the Society for American Music and served for many years on the National Recording Preservation Board. 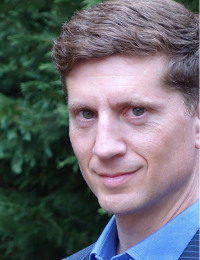 Professor Katz teaches courses on music and technology, popular music, and modern art music. In 2011 he received an Innovation Grant from UNC’s Institute for the Arts and Humanities to expand the scope and reach of university-level music pedagogy. One result of this grant was the creation of several new courses, including The Art and Culture of the DJ, Beat Making Lab, Rap Lab, and Rock Lab. Aimed at students without formal musical training, these courses introduce students to composition, performance, music history, entrepreneurship, and community engagement. Since 2013, Katz has been awarded more than $3.3 million from the U.S. Department of State to create and run Next Level, a program that sends American hip-hop artists abroad to foster cultural exchange, conflict prevention, and entrepreneurship. Since 2014 the program has conducted workshops in more than a dozen countries in Africa, Asia, Europe, Central America, and South America. Next Level, now jointly managed with Meridian International Center, will travel to Azerbaijan, Egypt, Morocco, Myanmar, and Vietnam in 2017–18. (Follow Next Level’s current global activities here.) His work in promoting the arts and music education in underserved communities has been recognized through awards from the Freedoms Foundation, the Hip-Hop Education Center, and Indy Weekly. In 2016, Katz was awarded Royal Musical Association’s Dent Medal, which credited him with taking “musicology and hip-hop studies in bold new directions, creating a model of exemplary and ethical scholarship that internationalizes the discipline in productive ways.” In 2017, Katz was awarded UNC’s University Diversity Award for Faculty, recognizing his significant contributions to the enhancement, support and furtherance of diversity and inclusion on campus and in the community. A former chair of the Department of Music, Katz became Director of UNC’s Institute for the Arts and Humanities in 2014. Professor Katz lectures frequently on music to academic and non-academic audiences. He has been a guest speaker at universities and other institutions throughout the U.S. and Europe, including invited talks and keynote lectures at the British Library, Brown, Cambridge, Case Western, Fondazione Giorgio Cini, Harvard, Minnesota, Northwestern, Oxford, the Sacher Stiftung, the School of the Art Institute of Chicago, Stanford, and the University of Turku. He also addresses general audiences through radio and newspaper interviews, blog posts, web chats, and other public engagements. When he has time, Mark Katz is a violinist, an amateur turntablist, and a DJ at UNC’s radio station, WXYC 89.3 FM. On his work in hip-hop diplomacy (and here and here). On his book Groove Music: The Art and Culture of the Hip-Hop DJ (and here), named by Rolling Stone as one of the top music books of 2013. Groove Music: The Art and Culture of the Hip-Hop DJ. New York: Oxford University Press, 2012. Music, Sound, and Technology in America. Durham, NC: Duke University Press, 2012. (Co-edited with Timothy Taylor and Tony Grajeda). The Violin: A Research and Information Guide. New York and London: Routledge, 2006. Capturing Sound: How Technology has Changed Music. Berkeley and Los Angeles: University of California Press, 2004. Revised edition published in 2010. Winner of the 2007 Hacker Prize from the Society for the History of Technology. “Preserving Heritage, Fostering Change: Accidental Archives in Country Music and Hip-Hop.” (Co-authored with David VanderHamm.) Public Historian 37 (November 2015): 32–46. “The Persistence of Analogue.” In Musical Listening in the Age of Technological Reproduction, ed. Gianmario Borio, 275–87. Surrey, England: Ashgate, 2015. “What Does it Mean to Study Popular Music? A Musicologist’s Perspective.” Journal of Popular Music Studies 26, no. 1 (2014): 22–27. “Amateurism in the Age of Mechanical Music.” In The Oxford Handbook of Sound Studies, ed. Trevor Pinch and Karin Bijsterveld. New York: Oxford University Press, 2011. “Beware of Gramomania: The Pleasures and Pathologies of Record Collecting.” In The Record, ed. Trevor Schoonmaker. Durham: Duke University Press, 2010. “Portamento and the Phonograph Effect.” Journal of Musicological Research 25 (2006): 211–32. “Beethoven in the Age of Mechanical Reproduction: The Violin Concerto on Record.” Beethoven Forum 10 (Spring 2003): 38–55. “Hindemith, Toch, and Grammophonmusik.” Journal of Musicological Research 20 (2001): 161–80. “Aesthetics out of Exigency: Violin Vibrato and the Phonograph.” In I Sing the Body Electric: Music and Technology in the Twentieth Century, ed. Hans-Joachim Braun, 186–97. Hofheim: Wolke, 2000. Also published as Music and Technology in the Twentieth Century. Baltimore and London: Johns Hopkins University Press, 2002. “Making America More Musical Through the Phonograph, 1900–1930.” American Music 16 (Winter 1998): 448–75.